Having hearing loss can be difficult. But trying to explain it to someone who has normal hearing can be even harder. For example, try explaining the difference between “hearing” and “understanding” to someone with normal hearing. It can take hours. To help provide a better understanding of what it’s like to live with moderate hearing loss, we ask hearing professionals in our Greenhouse Class each fall to participate in an experiment. They are asked to wear earplugs for six hours and then journal their experiences as part of their training in this special class. They show how just one day with a mild to moderate hearing loss can impact someone’s life at home, at work, alone and in social settings. Joe S. wore his earplugs at lunch and at the office afterwards. 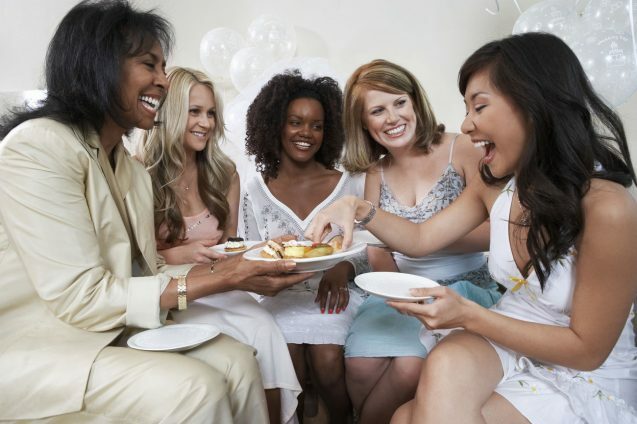 He noticed immediate difficulty hearing in the noisy restaurant and relied on lip reading and context clues to follow his friend’s conversation. At the office, Joe notes the abrupt struggle in performing his job and, with his newfound hearing loss, he lost the ability to multitask. When he returns home, he notes not only the desire to isolate himself but also his family’s frustration with him. Zvi H. noted feeling frustrated, depressed and even started using a common coping mechanism. For S. Temby, she experienced numerous problems with family and friends. After removing the earplugs at the end of six hours, she also noted that the experience helped her understand her grandmother’s behaviour better in the past. No matter whether you experience mild hearing loss, severe hearing loss or any type of hearing loss, it’s important to help friends, families and coworkers better understand what we go through each day with our hearing loss so that we can work together for better communication. If you are experiencing problems with your hearing, contact Nantwich Hearing Centre to talk about your options. Can earwax cause hearing loss? Earwax can certainly cause hearing loss. But it doesn’t occur as commonly as one might think. 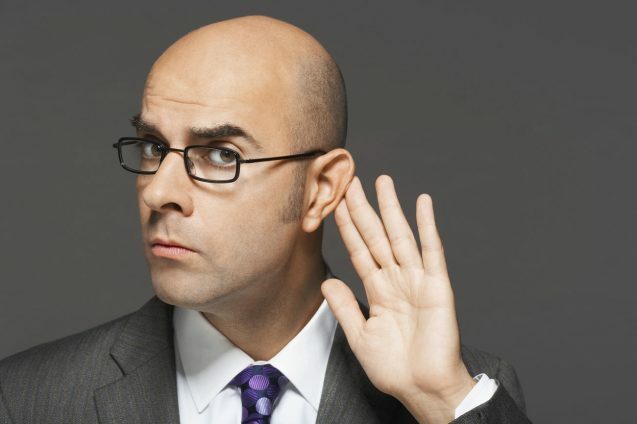 In fact, very few patients who are seen by hearing healthcare professionals have hearing loss that is literally due to excessive earwax (cerumen impaction). 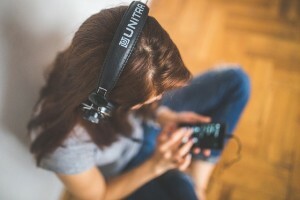 More likely, the patient has experienced a gradual decline in their hearing over time and the hearing loss has become enough that the patient is starting to have difficulty communicating with others. It is when communication starts to become affected that people seek help. What, you might ask, causes cerumen impaction? Anything that affects the normal outward flow of ear wax may cause impaction, such as advanced age, narrow or abnormally shaped ear canals, use of a hearing aid, incorrect use of cotton swabs, or using needles, hairpins, or other objects to clean the ears. The good news is that hearing loss caused by cerumen impaction is easily treated. If your hearing loss is as simple as having your ears cleaned, GREAT! If not, visit us and you will be in the right place to accurately uncover what might be causing your perception of hearing loss. Setting up an appointment with us is easy and convenient. Just get in touch and we’ll arrange an appointment that is suitable for you. The aim of the week is to raise awareness of the condition, which affects approximately 1 in 10 of the population. For the first time, the international tinnitus community will join forces to shine a light on the condition, targeting as many people as possible in order to raise awareness of how tinnitus impacts on the lives of those living with it. This year, alongside the Tinnitus Research Initiative, Tinnitus Hub and the American Tinnitus Association, we are giving Tinnitus Week a real international boost. A new website has been set up, as a central resource collecting all the initiatives which will be taking place in 2018. This website can be found at www.tinnitusweek.com. They’ve been encouraging organisations, from across the world, who deal with tinnitus and other hearing-related issues such as hyperacusis and hearing loss, to work together to raise awareness of tinnitus during Tinnitus Week. 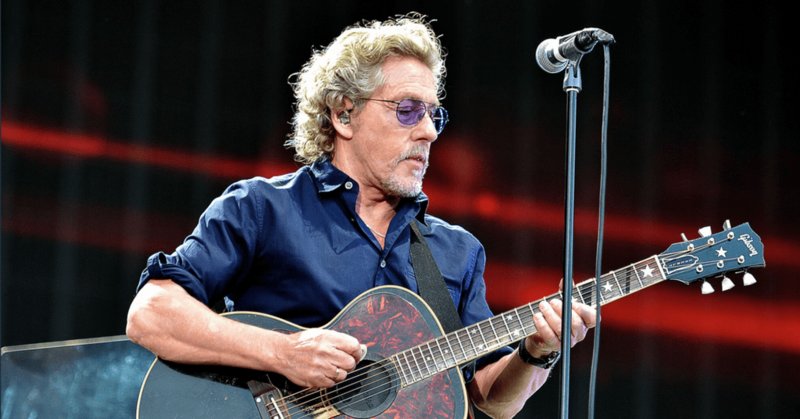 As such they’re hoping a large variety of activities will take place during the week across the globe, including local events, tinnitus information days, media interviews, science communication activities and much more. If you will be doing anything during Tinnitus Week to help boost tinnitus awareness, please email [email protected] with the details and if suitable, these will be added to the Tinnitus Week site. Here at the British Tinnitus Association, our campaign for the week will focus on children and young people. Nantwich Hearing Centre – Clinic Refurbishment. It is nearly 3 years since we opened Nantwich Hearing Centre. 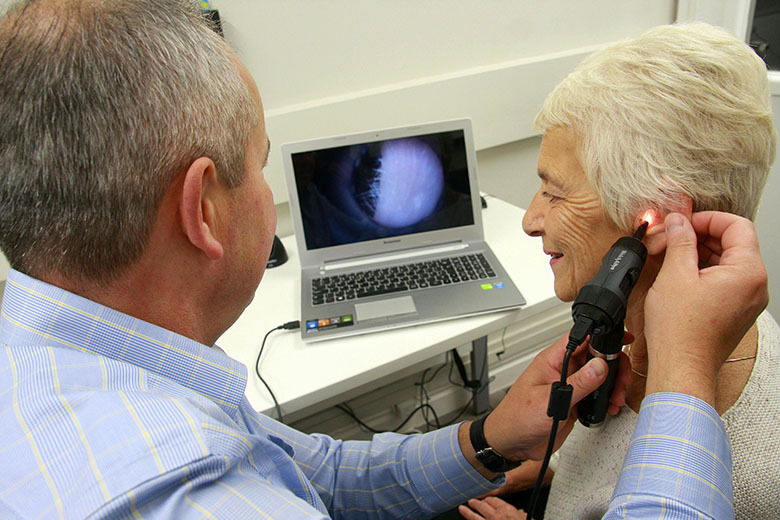 Our aim was and still is, to provide a range of services to local residents, focussed solely on maintaining and improving their hearing health. Our intention was never to just sell people hearing aids, but to develop long term relationships with our customers, by offering an after care service that you just do not receive from major high street retailers. The positive response to our services has been fantastic and we have now helped hundreds of people improve and protect their hearing for the future. We are very grateful to those first few customers who put their trust in a new business and to those who have recommended us to family and friends. We remain passionate about our business and the importance of encouraging people to take care of their hearing. We are therefore looking to expand the range of services we offer and are delighted that from mid-January we will be able to offer Micro-suction Wax Removal. In order to be able to provide Micro-suction to the very high standard that our customers would expect from Nantwich Hearing Centre, we need to invest in re-designing and re-fitting our clinic in the Cocoa Yard. We will therefore be closed from 13th December until the New Year while the work takes place and the new equipment is installed. Upon completion our clinic will include a treatment room dedicated to wax removal, both micro-suction and irrigation, a separate consultation room with sound proof booth, for hearing assessments and general advice on hearing health and a newly refurbished reception / waiting area. During this period our phone line will be diverted so you will still be able to call or reach us on e-mail or via the website. Please be assured that we have not disappeared, it might just take us a little longer to deal with your enquiry. We thank you in anticipation of your patience and very much look forward to welcoming you to the ‘new look’ Nantwich Hearing Centre in January 18. 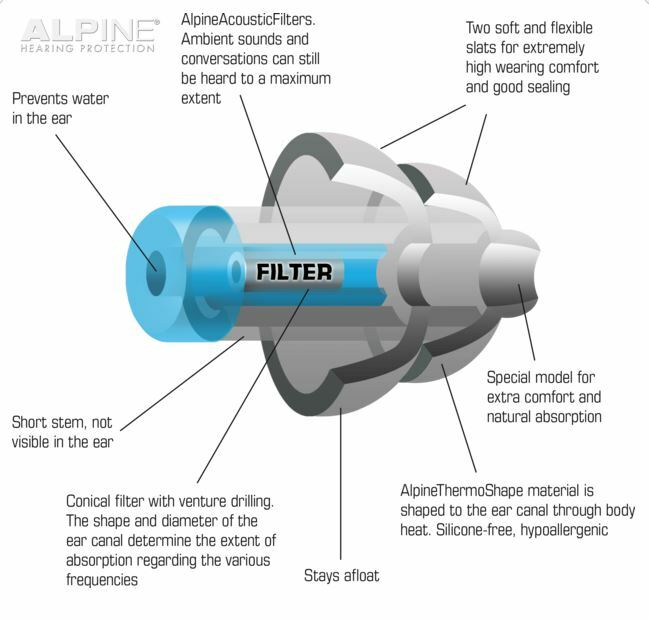 Enjoy more fun in and on the water with Alpine SwimSafe earplugs. These special swimming hearing protectors prevent water getting into your ears, which can cause infections and swimmer’s ear. Thanks to the unique filters, you can still hear virtually everything. You can use SwimSafe earplugs while showering, swimming, or snorkeling, but they are also ideal for those participating in water sports. Many water sports fans wish to protect their ears against water and wind during (kite)surfing, sailing and wakeboarding. They wish to prevent an ear infection or surfer’s ear and to enjoy engaging in sport without painful ears. Pluggies Kids earplugs are available for children. 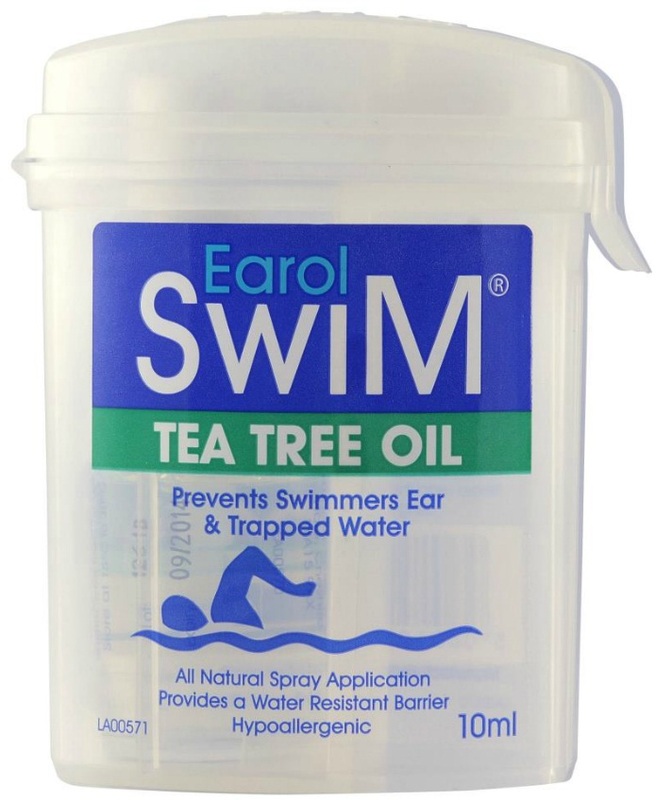 Earol® Swim prevents swimmers ear and trapped water. With Tea Tree Oil delivers a metered dose of a unique blend of Olive Oil & Tea Tree Oil into the outer ear finely coating the auditory canal creating a water resistant barrier. It’s an age old adage but it has stood the test of time for a reason. Hearing loss generally occurs gradually, so you start to miss out on things you used to hear all the time, without even noticing. If you look on our previous blog ‘The Link Between Hearing and Dementia’ you will see that the correlation between the two has been present for many years. However, the risk of dementia is not the only reason that you should be taking care of your hearing health. Many people who decide to start using hearing aids have noted that they become increasingly disengaged socially, and struggle in groups. Hearing loss can often cause speech noises to be lost against background noise, causing the individual to become embarrassed about having to ask for things to be repeated. 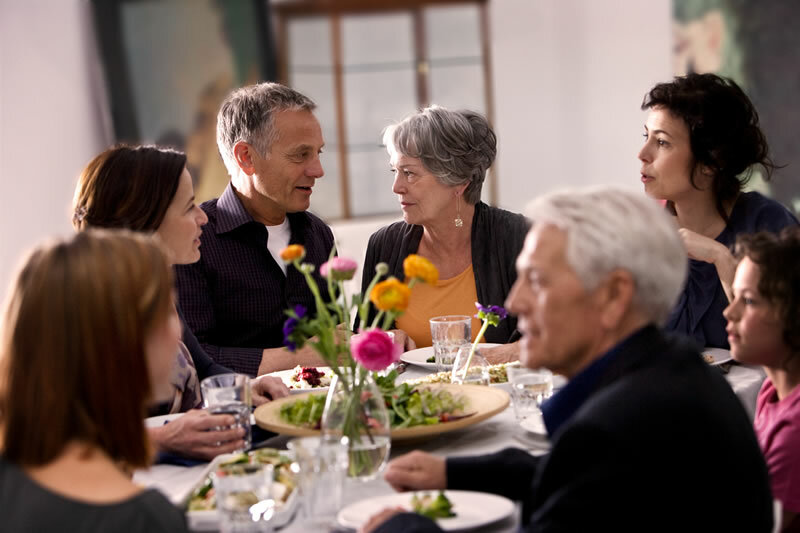 Hearing family and friends talking, watching the TV, and hearing on the phone are other common struggles that people with a hearing loss experience. Eventually they will also miss out on birdsong, music, and many of the other simple pleasures in life that we take for granted. Taking care of your hearing health means addressing the loss before it is too late. Using a hearing aid can reduce deterioration of hearing, meaning that you can retain hearing for longer in life. Ultimately, taking care of your hearing health means having an improved quality of life. It is unlikely that anyone reading this post does not know someone suffering from, or affected by dementia. There are 1.2 million people in the UK (48 million worldwide) living with dementia. It is a far reaching disease which not only affects the individual, but all of their family, friends, and carers. Hearing loss has been identified as one of nine key modifiable factors that contributes to development of dementia. Other factors were lack of education (8%), smoking (5%), failing to treat depression (4%), physical inactivity (3%), isolation (2%), high blood pressure (2%), obesity (1%), and type 2 diabetes (1%). The percentages are indications of how much of the risk each factor contributes, hearing loss carried the largest risk at 9%. These are all categorised as modifiable, as they can all be treated at least to some degree. There are suggestions that hearing loss may add to the burden of a vulnerable brain, and increase the progression of dementia. Both hearing loss and dementia have been reported to cause increased social disengagement and depression, so may exacerbate or accelerate each other’s symptoms. It is not yet completely clear whether the use of hearing aids and other instruments can prevent the onset of dementia. Hearing loss is known as a modifiable risk factor because it can be addressed and improved. Social isolation and depression contribute 6% of the modifiable dementia risk to potential cases, and hearing loss has long been known to cause both of these conditions. With this in mind, treating hearing loss, by default, often also takes care of two other major factors, and could potentially reduce dementia risk by 15%. Other risk factors could be addressed: by stopping smoking, keeping your mind agile, and regular exercise, and you could potentially negate most of the prospective 35% risk – vastly reducing the possibility of dementia onset. Dementia is an unfortunate inevitability for many people. However disheartening this seems, to be able to potentially negate the effects of 35% of the risks puts us in a very strong position. Knowledge is always the first step towards a cure, and though currently all advice is only preventative, we are certainly heading in the right direction. If you are worried about your hearing health in relation to dementia (or otherwise) and would like some advice, please do not hesitate to contact us for professional, friendly guidance. Where to buy hearing aids — online or from a hearing professional? If you’re reading this post, you’re probably thinking about getting hearing aids. You’re doing what almost everyone does today before they buy a vacuum or TV, or book a vacation or try a new restaurant — you’re doing online research. You are smart. Consumers today have an abundance of information and reviews at their fingertips. There’s little reason today not to research a product or service before you purchase, particularly if it’s a bigger investment. And there is no getting around the fact that hearing aids and better hearing are an investment. An investment that can significantly better your life. This article isn’t about the different makes, models or features of hearing aids. We’re going to talk about where to get hearing aids and the pros and cons of each. 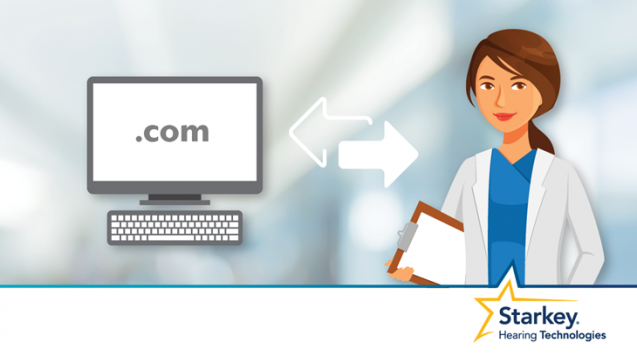 There are two main options; either from a local hearing professional or from an internet retailer. Let’s compare the two. No doubt, buying products online is easy and convenient, and hearing aids are no exception. Ordering from the comfort of your home or office — and having it delivered to you without needing to go anywhere — is pretty much the benefit that online shopping was founded on. Cost can also be a benefit of buying online. While it’s not the case with every item (especially if there are shipping fees involved), it is when purchasing hearing aids online. In fact, cost is probably the biggest incentive for buying hearing aids on the internet. Unfortunately, convenience and cost are where the benefits of buying hearing aids from an online retailer end. And even those two aren’t all they’re cracked up to be. Plus, if you need any adjustments made to your hearing aids to optimise comfort and performance, you first need to repackage and ship them to the retailer. Then, it can take weeks to receive the instruments back from an online service. Yes, a hearing aid is a tangible product that you can ship in a box and, in theory, start using after “some assembly required.” But it’s also a high-tech medical device that works best when matched to an individual’s unique physical and lifestyle characteristics, programmed and fine-tuned to their specific hearing needs, and then followed up with and supported by an expert in hearing care. Just as you wouldn’t be satisfied buying a suit or wedding dress without measurements, consultation and tailoring, nor would you prescribe yourself and know the right dosage of medication needed to treat your specific arthritis, high blood pressure, anxiety, or diabetes, getting a one-size-fits-all hearing aid without consultation from an expert is most likely going to disappoint or not work the way you need it to. When you buy hearing aids from a hearing professional, you get much more than just a product that makes things louder. You also get the expert consultation, treatment knowledge and experience, and personalised fitting, support and care that a sensory function as important as hearing deserves — before, during and after you buy your hearing aids. Thorough hearing tests — You’ll have an ear examination and clinical tests in a soundproof environment to diagnose and verify what your hearing needs are. Audiological evaluation — Your hearing thresholds will be charted on an audiogram, and you’ll be given specific tests to measure listening comfort and understanding in noise. Intake interview — You and your provider will discuss details about your day-to-day hearing needs (including the type of work you do, how active you are, what activities you enjoy doing, your style preferences, etc.). You’ll also go your unique hearing challenges, to help you understand how to optimise your overall communication, not just your hearing. Product selection — Based on your test results, interview, and even unique ear-specific characteristics, your provider will show you solution options that fit your needs in the best way possible. Product test drive — While in the office, you may be able to try out and test different styles and technology options so you can hear what impact hearing aids will make. Expert fitting — Once a product and style are selected, your provider will program and fine-tune your hearing aids to your specific needs and sound preferences. Each ear is like a fingerprint; every person is different and requires an exact fit to maximize success. Solution demonstration — Your provider will show you how to use and care for your hearing aids, and answer any questions you have, so you are comfortable with them and can keep them in tip-top shape. Treatment consultation — Your provider will walk you through expectations and next steps, and give you additional resources or tools, so that you feel comfortable as you regain your hearing senses. Trial period and follow-up visits — Wearing hearing aids takes some time getting used to and sometimes requires minor adjustments and fine tuning — all covered under your trial period to maximise comfort and ensure success. After-care needs — Your provider will be a one-stop shop for warranty and payment plans, tune-ups and maintenance, batteries and other accessories or part replacements. This is like having your mechanic close to you. If anything goes wrong, they can fix the problem quickly. Better hearing partner — Your hearing needs change over time, so count on your provider as a go-to resource for all things hearing, including answers to hearing loss questions, personalised treatment plan updates, new technology demos and more. VANCOUVER, Sept. 19, 2016 /CNW/ – Professor Yves Joanette, PhD, FCAHS, Chair of the World Dementia Council and Scientific Director of CIHR’s Institute of Aging, gave a keynote address last night at the 33rd World Congress of Audiology (WCA) in Vancouver. Professor Joanette used the opportunity to bring attention to the critical global issue of dementia and also highlighted the relationship to hearing loss in seniors. Currently, over 44 million people globally suffer from dementia. That number is forecasted to rise to 135 million by 2050, due to the aging population and increasing life expectancy. In 2016, an individual is diagnosed with dementia every three seconds. The social and emotional cost of living with dementia affects not only the individual but the entire network of friends and family. There are preventative steps individuals can take to reduce their chances of developing dementia. Persons suffering from untreated hearing loss can also take steps to minimize the risk of developing dementia. While research has linked hearing loss and dementia, more research is needed to further study whether there is a common neurodegenerative cause/risk factor between hearing impairments and dementia. Audiologists and other hearing health experts are committed to combat this critical issue before it continues to escalate into a larger health emergency. The World Congress of Audiology is the biennial Congress of the International Society of Audiology and is jointly hosted by Speech-Language and Audiology Canada and the Canadian Academy of Audiology in Vancouver, Canada.